My office recently moved into a different neighborhood and just down the street is a tiny taco place. We've been going for lunch at least once a week since unpacking. The tacos are delicious, but the real star is their house horchata - it made me fall in love with the drink all over again. 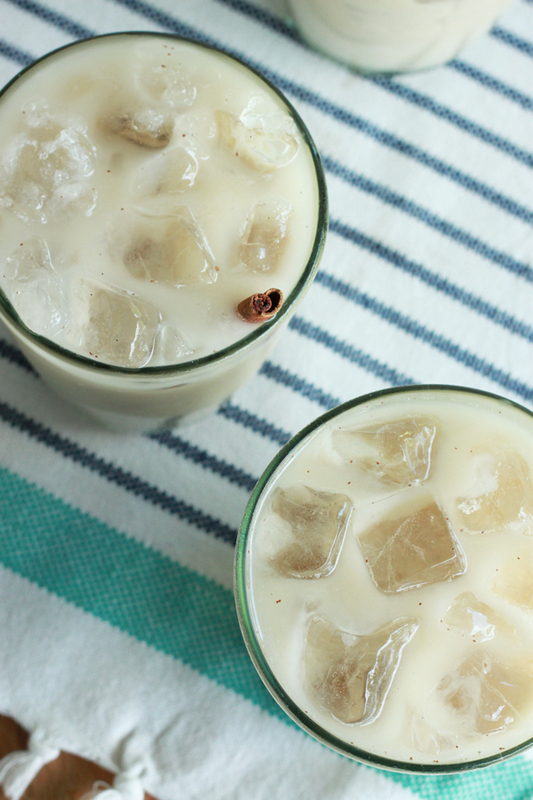 Horchata is a traditional sweet Mexican beverage made from ground rice and flavored with cinnamon. Variations abound widely - some have lime, most are made with milk, but others are made with water. Traditional Spanish recipes are made with chafu nut (don't worry I hadn't heard of it either). 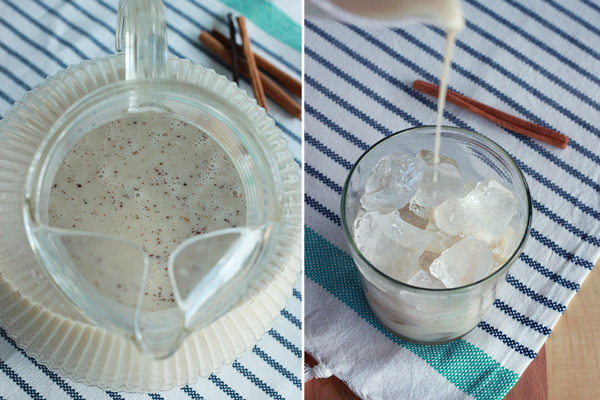 I was on a mission to make some horchata myself to share with my family (and you) in time for Cinco de Mayo. I tried two recipes for homemade horchata this week and both failed; One was weak and watery, the other thick and gooey. I resolved to keep working on a recipe and try to bring it to you next year. Late last night I had an epiphany - you can totally buy rice milk. This is a total cheat, inauthentic, and probably about as blasphemous as a bunch of American's using a Mexican holiday as an excuse to eat too many tacos and drink too much tequila. Just saying. 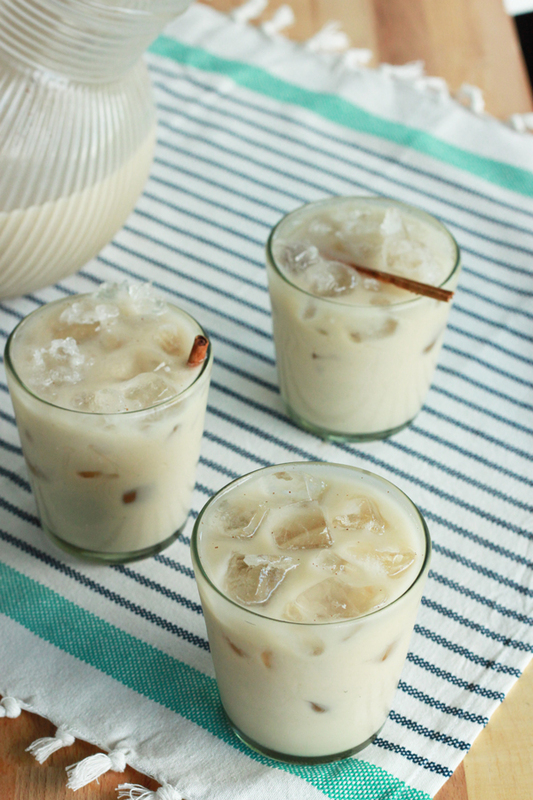 So you might call this cheater's horchata, but I promise it is delicious and will help wash down all that salsa this weekend. Combine the rice milk, ground cinnamon, vanilla bean, and brown sugar, and salt in a large pitcher. Refrigerate for at least an hour but ideally overnight. Serve over lots of ice with an additional sprinkle of cinnamon. Add an ounce of dark rum to each serving for adults. i love this post! i have been drinking horachatas since i was a kid and they are still my favorite! ive always had trouble making them on my own but i will be giving this recipe a try. thanks for the wonderful post! Thanks Sarah! I hope you do try it and report back. I too had this thought a few months ago and then never tried it. Thank you for trying it for me. It worked perfectly!! So delicious! You know what they say, great minds think alike!